European Capital of Culture in 2023? We may be gearing up to apply in Leeds, but it’s not for Manchester apparently. 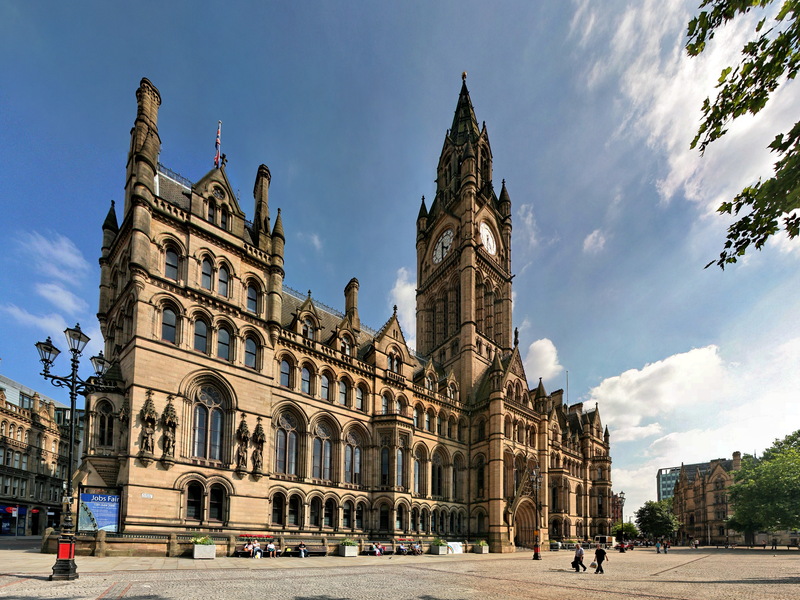 An opposition motion going before a meeting of the city’s council tomorrow calls on chief executive Sir Howard Bernstein to draft a report on how Manchester could put together a winning bid. But, according to a report in today’s Manchester Evening News, the motion is going to be voted down by the ruling Labour Party. “Labour have been looking into the idea and now claim it would not be worth Manchester’s while bidding for the title,” says the report. The council’s culture chief Cllr Rosa Battle said it cost Liverpool £2m to bid for the title and around £120m to promote and plan in the build-up to the event, the paper says. “Such a process is more suitable for lower-profile cities such as Hull, she said, which is Capital of Culture in 2017,” it adds. “We see Manchester as the UK’s cultural capital anyway and therefore we want to invest in culture year after year,” Battle is quoted as saying. This entry was posted in Uncategorized and tagged european capital of culture, leeds, leeds2023, manchester, manchester city council, manchester evening news, rosa battle, uk city of culture. Bookmark the permalink. This is the difference between Manchester and Leeds. Leeds is deeply unhappy with how it views itself and Manchester is not. Therein lies most, if not all of Leeds civic problems and the reason it is always banging on about stadia, trams and monorail. I can understand why Manchester would not bid for either of the capital of culture awards. It’s a hotbed of culture and art. I agree we should bid for it in Leeds. There is little to be gained from comparing Leeds to Manchester all the time. Manchester is streets ahead of Leeds in all aspects of culture, the arts, sport and music etc etc. here in Leeds we should be bidding for Christ sake we need to!! I don’t really understand Pam SJ remarks? Leeds and Yorkshire contributed greatly to the medal table at the London Olympics and Glasgow Commonwealth Games and has successful sports persons in a variety of fields ranging from Rugby League to Triathlon and Diving to Squash. The Grand Depart from Leeds was “formidable” and even the French were impressed! Or is she just referring to two soccer teams? The new arena along with the Grand, Playhouse and City Varieties are a credits to the city and the Phoenix and Northern Ballet are credible and important to the whole UK arts scene. There is a burgeoning indie music scene along with a whole raft of creative industries ranging from gastronomy to street theatre to art. As a Warwickshire boy with work connections to Media City in Salford, it is tiresome that the north west receives so many cultural plaudits when there is as much going on in other parts of the country and I whole heartily support an alternative region i.e. other than London and Manchester getting all the attention! Glasgow made a fantastic success of the Commonwealth Games and I was so pleased that Hull got the UK Capital City of Culture, and Liverpool made a success of their turn so I say go for it Leeds. Good luck and I am sure you can do it. I should say that I studied in Leeds and so have a fond but distant connection with the city.